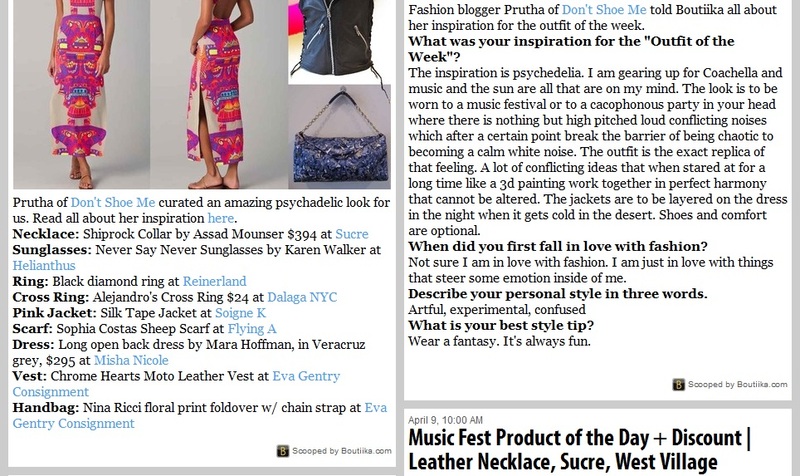 Did an outfit of the week layout for Boutiika.com and they did a blogger spotlight feature on me. The outfit I picked was to be for a music festival as I just got back from Coachella and this was exactly the vibe. What do you think? Chunky heels and platforms, funky shapes and colors, and clashes of pattens all over!